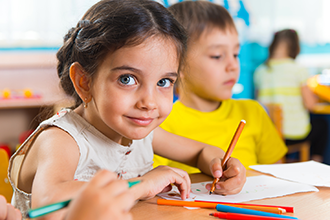 Routine eye exams are essential for children to be ready to learn in school, and experts say more than 80 percent of information children receive in classrooms is presented visually. According to the American Optometric Association (AOA), children generally should have their first eye exam at 6 months of age, another exam at age three and again at the start of school. Risk-free children should then continue to have their eyes examined every two years until age 18. 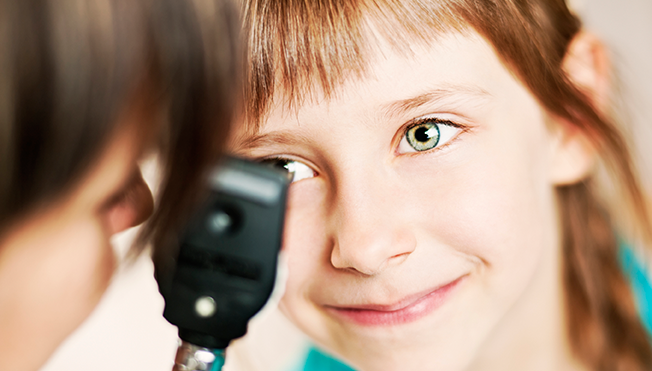 Children need regular eye exams to detect vision problems that may interfere with learning. Also, children who currently wear eyeglasses or contact lenses should have annual eye exams, according to the AOA. Unfortunately, many American children don’t receive the eye care they need, and children in poor families are at the greatest risk of undetected vision problems. According to the National Commission on Vision and Health (NCVH), 83 percent of families earning less than twice the federal poverty level include children who have not had an eye exam in the last year. 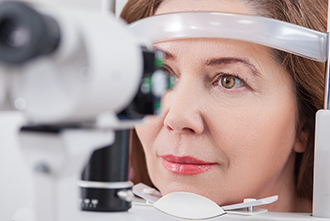 To maintain a lifetime of healthy vision, the AOA recommends a comprehensive eye exam every two years for adults ages 18 to 60, and annual exams for seniors age 61 and older. Also, adults who wear contact lenses should have annual eye exams, according to the AOA. If you have any doubts about how often you (or your children or parents) should have your eyes examined, ask your eye care professional for guidance. It is important to bring information to your eye exam that will alert your eye doctor to risks you may have for eye or vision problems. Seniors need regular eye exams to avoid sight-threatening diseases. In particular, bring a list of any prescription or non-prescription medications you are currently taking or that you took on a regular basis in the past. Include vitamins, herbs and other non-traditional remedies you may use. Include the dosages you take for each medicine or other substance, and how long you have been taking them. Also, be sure to bring a copy of your vision insurance card and any other medical insurance cards you have if you are seeking insurance coverage for a portion of your fees. Finally, prepare and bring a list of questions or concerns that you would like to discuss with the doctor. And if you are interested in specialty services such as contact lens fitting or laser surgery evaluation, be sure to mention this — both when you schedule your exam and when you check in on exam day.